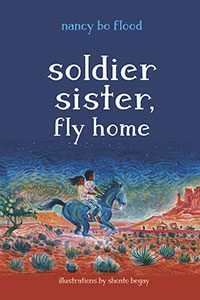 Arizona State Library has chosen Soldier Sister to become one of their audio selections for the Arizona Talking Book Library. They asked if I would do the reading because patrons prefer listening to the author. We started last week, and so far, it has been a very positive experience. I sure was nervous! The audio book will be available nationwide through the Talking Book program. I am especially pleased about this because while working on Soldier Sister I came to know the Piestewa family. 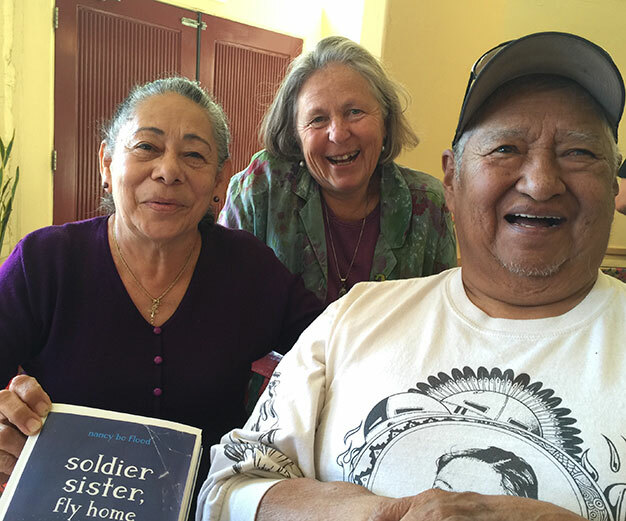 Mr. Terry Piestewa (on the right in the photo below) is a Vietnam Veteran. His eyes were damage during the war, and because of recurrent infections he has only one eye and can barely see light and shadows. He wanted to read Soldier Sister, Fly Home. Soon he will be able to listen to it. How special that this book about families and deployment will be available to all, including veterans, who have diminished eyesight.